Remember when you were a kid? Well, part of you still is. And that’s why the Spartan Baritones play “Faygo”. 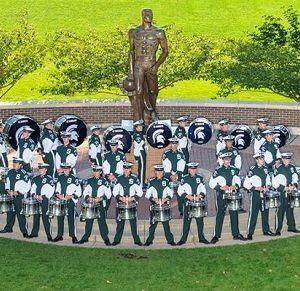 You’ll hear the current members of the Spartan Baritones play the iconic Pop theme song every game day during their warm-up on Adams Field. 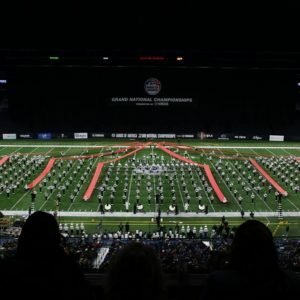 This year, the tradition is in its 42nd year. Before MSU was sponsored by Pepsi, beverages in the stadium were supplied by Faygo. 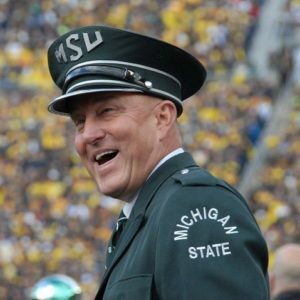 Beginning in 1976, the baritone section periodically played the “Faygo Boat Song” for the student section in between third and fourth quarter. The song was written by two baritone section members, Matt and Andy James. 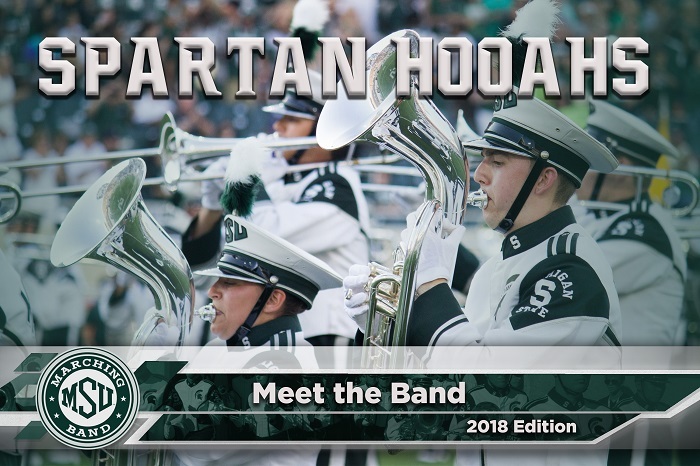 The student section and band both loved the tune, and it was adapted into a marching band halftime show played by the entire Spartan Marching Band. 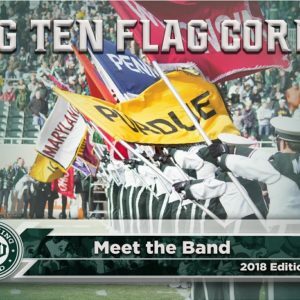 In the early 2000’s, Faygo was no longer served within the stadium, but the Spartan Baritones continue to play the tune to the present day. 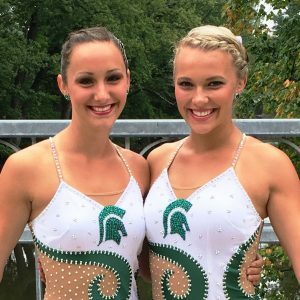 Being a long-time tradition in the Spartan Baritones, it is also well-known by alumni of the Spartan Baritones. 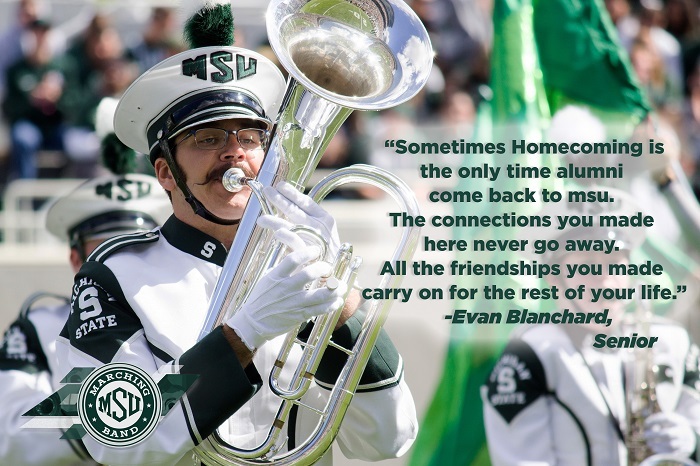 This is one of the reasons alumni band week is important to the Spartan Baritones. As part of recent tradition, the current section members and alumni come together after the game to play “Faygo” during Alumni Band week. Two versions of the song have been written for the baritone section. The older section members play along with the younger members in the original arrangement of “Faygo”. A more recent version of “Faygo” is played afterward. 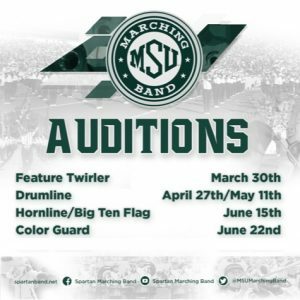 Faygo is more than just a song or beverage for the Spartan Baritones. It’s one of the things that makes alumni week special for them. 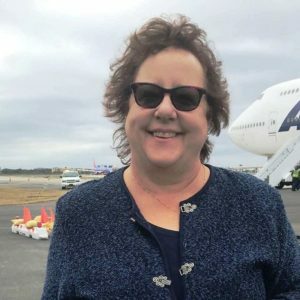 The shared connection is why current members look forward to alumni band each year. It brings everyone together from all generations from within the band. 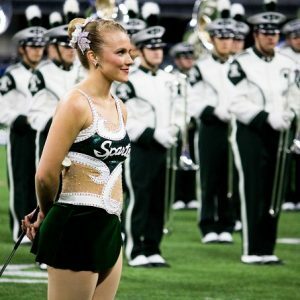 “Alumni band week reminds me that I’m part of an organization that existed and thrived long before I got to MSU and will continue to do so long after I leave. 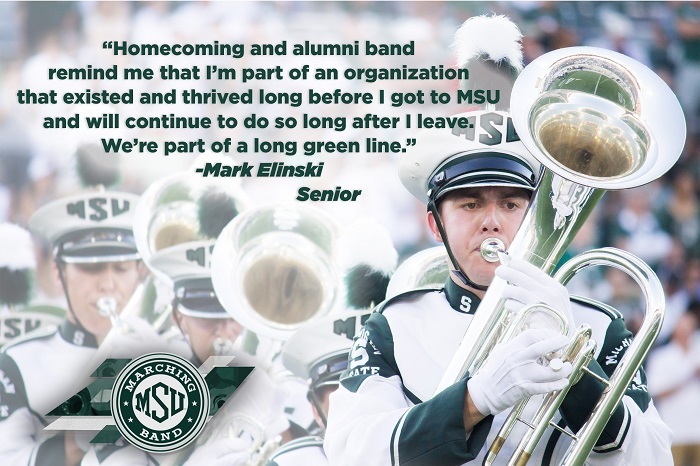 We’re part of a long green line” says Mark Elinski, a senior Chemical Engineering Major from Troy, MI.